Every year, designers find new inspiration for fashion collections and home furnishings from both the bold and subdued colors that paint our everyday life. Decorators and homeowners alike use these choices for crafting beautiful homes that capture the latest trends and shades. The Spring 2017 Fashion Color Report included 10 top colors that provided “a renewed sense of imagination” and drew heavily from the feelings that nature evokes. Without further ado, here’s a quick guide to incorporating some of these 2017 color trends with our favorite carpet trends. Feeling Blue: Love the soothing effect of a running stream or relaxing island lagoon? The most prevalent spring 2017 color is Niagara, which, like its namesake, captures the essence of beautiful bodies of water and connects with our natural desire to ease into our days. Another choice, Island Paradise, is an even lighter shade of cool blue that brings tropical settings to mind with clear skies overhead. 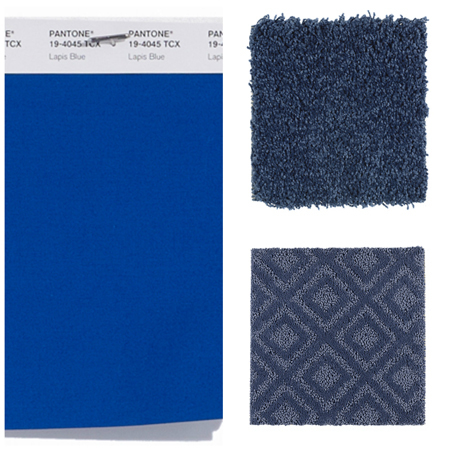 Use both blue hues to create your own relaxing getaway indoors with a plush, cozy area rug in the bedroom, bathroom, or entryway, making the stress melt away with each step. Add in coastal or nautical-themed accents to complete the true getaway feel. *Bonus Tip: Pops of Island Paradise in your home décor will also look incredible when paired with dark, rich hardwood or laminate with hardwood characteristics. Pastel Perfection: Springtime pastels can be the perfect neutrals to tie rooms together, and the spring 2017 palette includes a few surefire design hits. 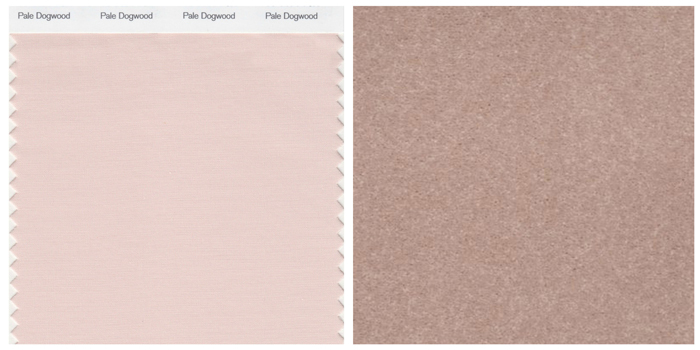 Pale Dogwood adds a soft pink touch that is equal parts innocent and elegant, while earthy Hazelnut lends subtle warmth and natural transition. Both colors look gorgeous as wall-to-wall carpeting for your rooms. The Right Brights: Summer brings the heat and flair, just like these bold bright selections from the 2017 color report. Flame, a red-based orange, is full of life and adds a brilliant spark to your room layout. Both Pink Yarrow and Primrose Yellow give a vibrant, playful feel to your home. All are ideal for adding pops of color and pair exceptionally well with dark flooring. An area rug with an active pattern containing any one or a combination of these three will uplift a room with energy. Whether you love the blues, pastels, brights or any other selection, consider using one of the colors for painting an accent wall inside your home. It’s a low-cost way to add a bold splash of your favorite shade. It’s time to get colorful!